August 11 2013 Maidenhead Berkshire England. Retro Festival at White Waltham airfield. 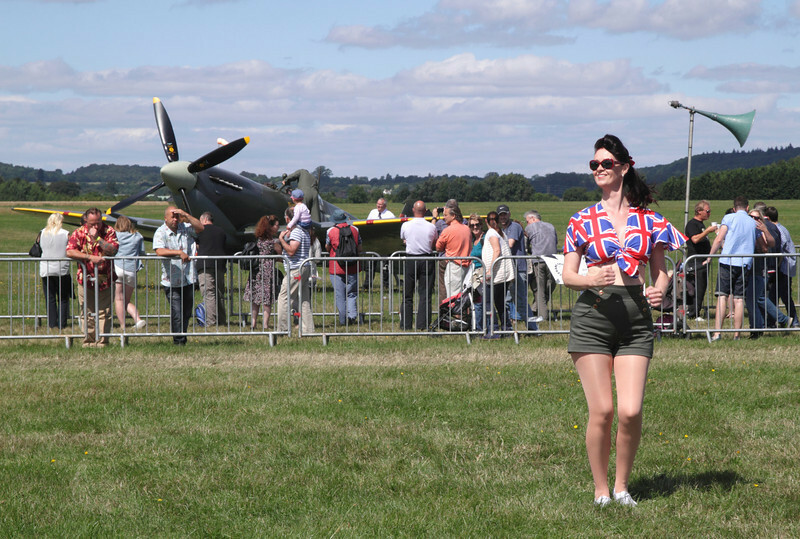 1940s clad woman and Supermarine Spitfire.